I am very excited to welcome two of my favorite rising YouTube personalities, NBSJ Productions hosts Adam Feldman and Shant Goorjian, to Jake’s Take. Since they started their YouTube channel in June 2015, their videos have been viewed over 268,000 times and started growing a social media following on Facebook, Instagram, and Twitter. NBSJ Productions’ video content blends comedy, fitness, and pop culture that will guarantee put smiles on viewers’ faces. In this edition of A Conversation, Adam and Shant revealed the NBSJ Productions’ origin story, shared their creation process regarding their YouTube videos, and why do they prefer Instagram over several social media channels. Jacob Elyachar: Could you please describe NBSJ Productions’ origin story to my readers? Adam Feldman: We met the second day of freshman year in college and after that year became best friends. Throughout that year we became best friends we bonded like crazy over our sense of humor. We had always cracked jokes about starting a channel, but due to Shant’s prior commitments to The React channel, we were not able to. That changed during the summer of 2015 when we decided to launch NBSJ Productions! Shant Goorjian: I have always wanted to start a YouTube channel of my own. I love making people laugh and just sharing my life with those who want to experience it with me. There was no better person I could see being a partner with me in this endeavor than Adam! Two summers ago, we decided to make that dream a reality, and thus NBSJ Productions was born. JE: How long does it take to create those excellent YouTube videos? AF: First of all, thank you for the compliment! It takes us usually about two days on average. It starts with the idea, and then we plan the shoot then execute as best as possible. Sometimes they take longer to prepare and sometimes if it is something like a vlog it could take as little as a day. SG: The time it takes to make a video depends on the type of content we are doing for that week. A sketch usually takes a few days of preparation followed by pre-and-post production. A fitness video can be done in as little as one day. Finally, a vlog can be in preparation from one day to one week, depending on how much content we want to put in one video. JE: What are your favorite fitness topics to film? What fitness issues do you try to avoid? AF: I would say my favorite are either hype style motivational videos such as our 2.0 Fit shoot because I love the editing as well as the camera work involved. In regards to my least favorite, I do not have a least favorite because I love fitness as a whole. It changed my life, so I have enjoyed delving deep into the culture overall. I genuinely enjoy all aspects of fitness. SG: I am on the same page with Adam on that one. We were both overweight just a few years ago, so we have a deep appreciation for all aspects of fitness. There is no least favorite fitness topic in my opinion. JE: What are some of the challenges that the two of you face breaking into the fitness industry? How do the both of you overcome them? AF: I would say the biggest is just getting the point across that we are not a conventional fitness channel. We are a lifestyle channel that promotes balance in life but a huge aspect to stay healthy physically, mentally, and emotionally is staying fit. Fitness has changed both of our lives for the better so it is more about spreading the positive change that fitness can bring than pushing six pack abs or being “ripped.” Overcoming that is just a matter of persistence and time, in my opinion, YouTube works like the snowball effect. It grows slowly but eventually it is exponential. SG: Most fitness channel nowadays seems to promote the fastest or easiest methods to getting “ripped.” We try to be different in that we promote overall health, longevity, and the importance of enjoying life. Looking good and feeling strong are important facets to have, but not being afraid to eat that donut and just enjoying the moment to the fullest is something we deem to be more important. With continued determination, we hope to break into the fitness industry through our more personal fun loving approach to exercising and enjoying a healthy and happy life! JE: Which YouTube fitness personalities would you like to collaborate with in the future? How will their appearance benefit both NBSJ Productions and your collaborator? AF: To be honest everyone. I know that is a horrible answer and not the one you were looking for, but for us, we are not looking at this as a benefit ratio type situation for the collaborators but more as something we all love to do. If we were to collaborate it would be for the love of what we are doing and sharing that with another YouTuber. Whether it be a comedian in a sketch, a fitness buff, or a vlogger. 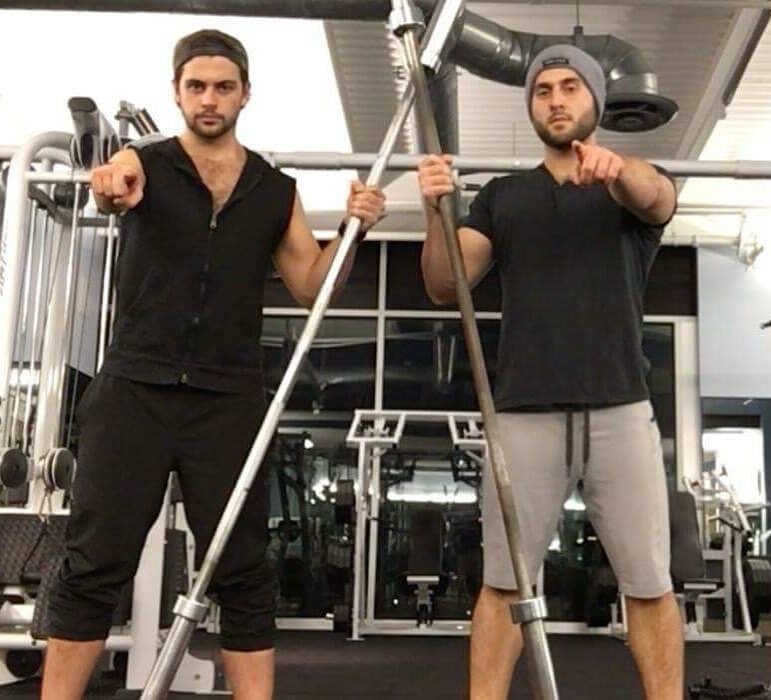 SG: We are always open to collaborating with anyone, but if I were to specify, I would say fitness personalities such as Kali Muscle and Bradley Martin. I have always enjoyed their content and feel the dynamic in such a collaboration would be very entertaining and informative! JE: While both of you are active on multiple social media platforms outside of YouTube, Instagram seems to be your social media of your choice. Why Instagram? AF: Instagram is very useful regarding spreading info that will be there in the form of a picture and a caption. Facebook is easy to get lost in BuzzFeed videos or meme pages, whereas Instagram is bold and direct. Plus, I love being able to scroll back on one album and see the past years of my life consolidated. SG: I feel as though Instagram is the best way to connect with a fan base, especially since I feel as though our demographic tends to use that platform more than something like Facebook. On top of that, I have used Instagram for a while and am more used to its methods and how I approach sharing content. JE: If you had the chance to meet people who are either struggling or have not started their fitness journey, what advice would you share with them? AF: I know this is cheesy, but the quote “a journey of a thousand miles begins with a single step.” This could not be truer. You would not lose 10, 20, or 30 lbs in a day. It takes time, and it becomes a lifestyle. You just need to stick to it, believe in yourself, and know that you have 100% of the power to change your situation. You can do this. SG: I would tell them that it is possible, but it takes genuine commitment, consistency, and dedication. People tend to quit early on because they don’t see the results they want. I know how that feels because I was there not too long ago myself. It takes many months of hard work, but you’ll wake up one morning and realize you’ve lost 30 pounds. If I was able to commit to it, anyone can! 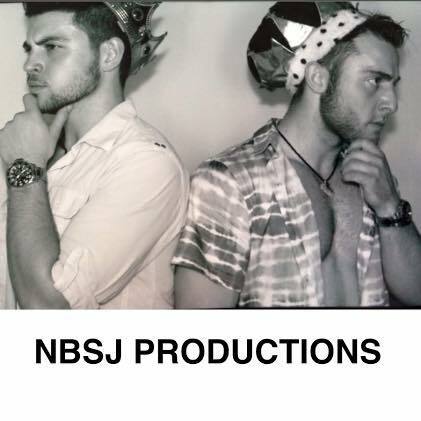 You can connect with NBSJ Productions on social media! Visit their Facebook, Instagram, Twitter & YouTube channels. You can also follow Adam’s & Shant’s adventures on Instagram.